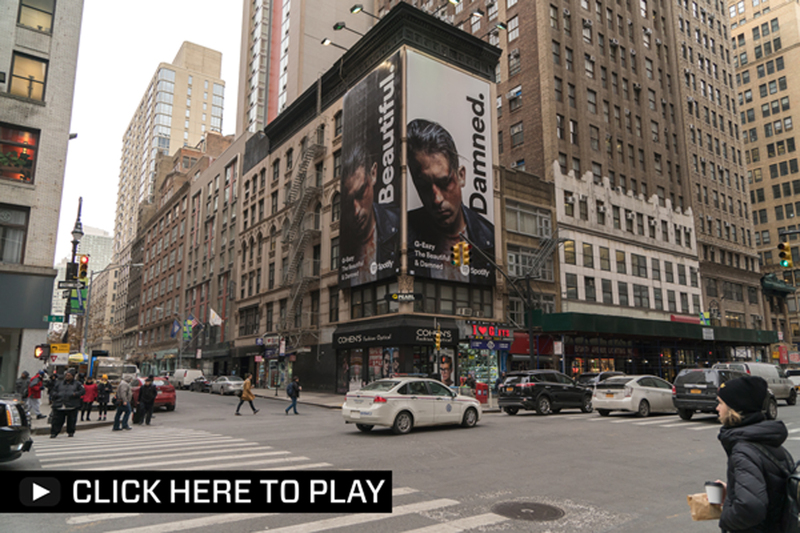 Last time we showed you just one of the artists that graced our 37th and 8th ave wallscape. This week, however, we’re showing you the whole set list! With 21 different posts spanning 38 weeks, New York’s Garment District was constantly in tune with today’s hottest musicians. Maybe you’ve heard of some, maybe you haven’t. Either way, grab some headphones and check them out! 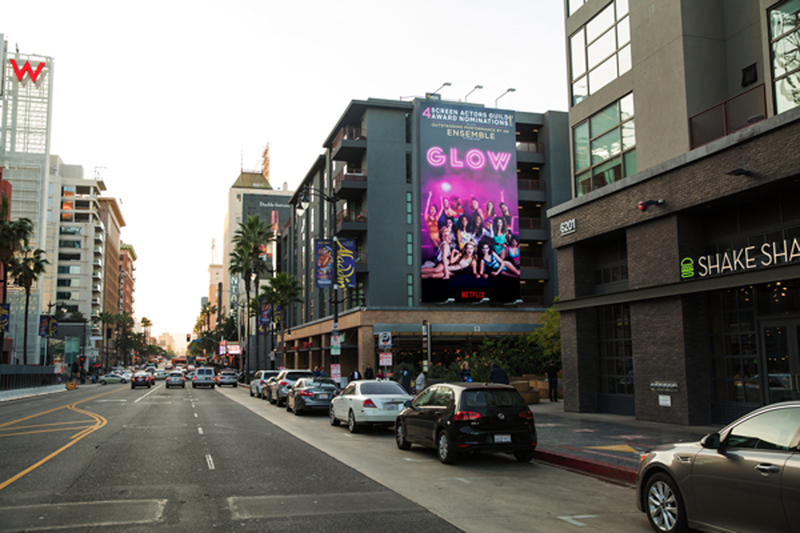 One of Netflix’s newest original series, the critically-acclaimed comedy Glow was featured on our Hollywood Blvd wallscape. Racking up Emmy, SAG, and Critics’ Choice nominations, the show is reaching new heights. This heavily-trafficked location gave Netflix the chance to attract some last-minute viewers, and voters, just in time for award show season. Ever wondered what a wallscape would see if it had eyes? That all depends on the city, but there’s one constant for Pearl Media wallscapes, lots of people! 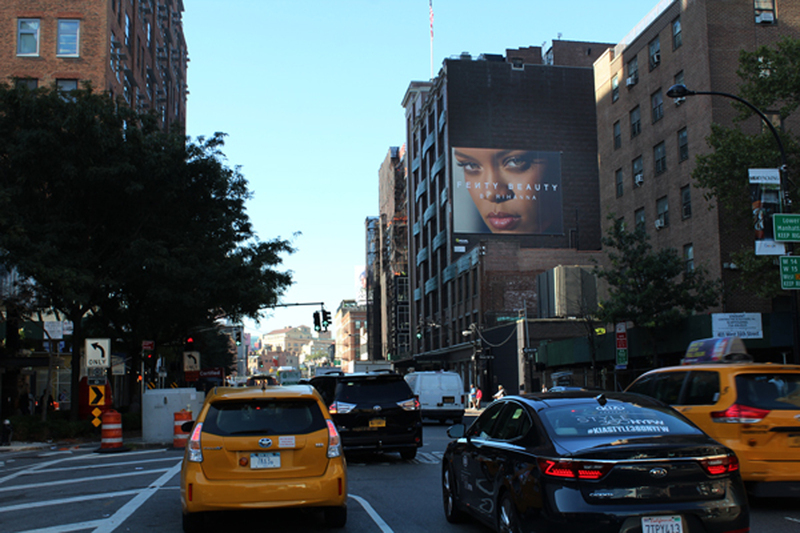 Residing in the bustling Meatpacking District, our Chelsea Market wallscape has become an expert at people-watching. Take a look, and see things through the eyes of our wall. 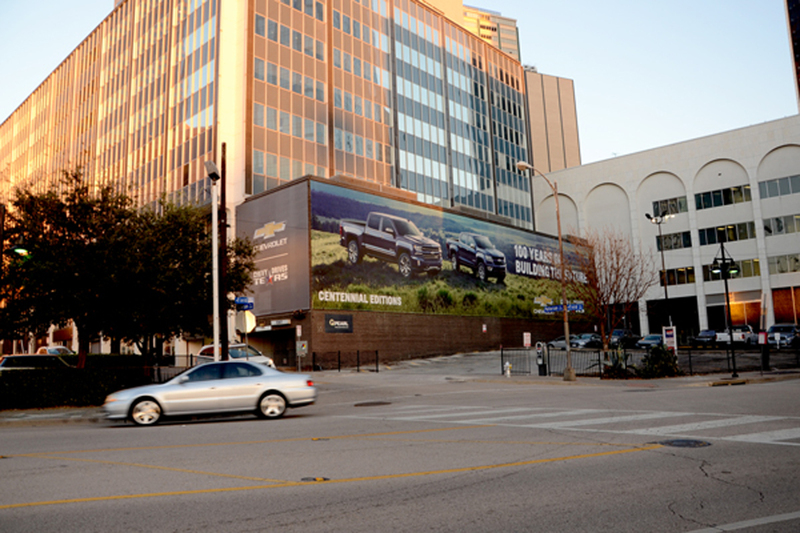 Making itself at home once again on one of our massive Dallas walls, Chevy promoted its “Centennial Edition” Silverado. To celebrate 100 years, it’s only fitting to have it posted on a wall this big. On behalf of Pearl, we’d like to say congrats to Chevy, and we look forward to helping celebrate its next centennial! As the largest team here at Pearl, Operations knows the importance of teamwork. Lucky for them, there’s a rock gym right next door! Ops completed some team-building exercises like climbing blindfolded and climbing one-handed. 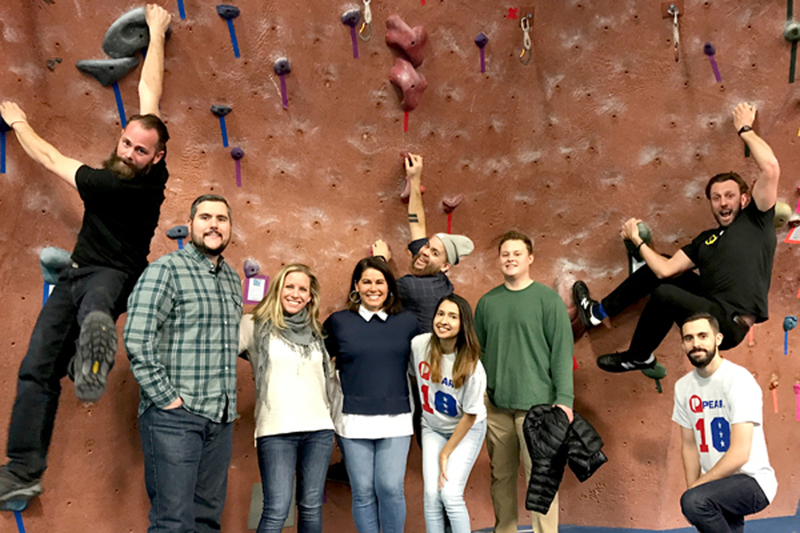 As you can see, Daniel (left beard guy), our SVP of Production, is a seasoned veteran in all things scaling and climbing.